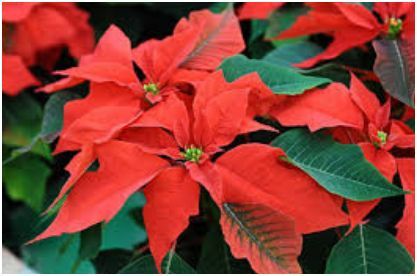 Butterflies in December, hillsides bursting with the brilliant red flowers of the poinsetta tree and sunshine so warm that you can sit outside and soak it up until early evening. That is Madeira in winter…the Portuguese island of wood…a tiny exotic paradise on the furthermost western edge of Europe…where there is something for everyone, from shopping, to fine dining or getting away from it all on a mountainside – on a short or long break. It’s my first visit and I see how green the island is, compared to its nearest neighbour, Gran Canaria, more than 200 miles to the south. This is because it is massaged by the warm waters of the Gulf Stream, giving it a year-round Mediterranean climate, with an average temperature above 65 degrees. The island is very mountainous which makes for a high annual rainful and lots of micro-climates. 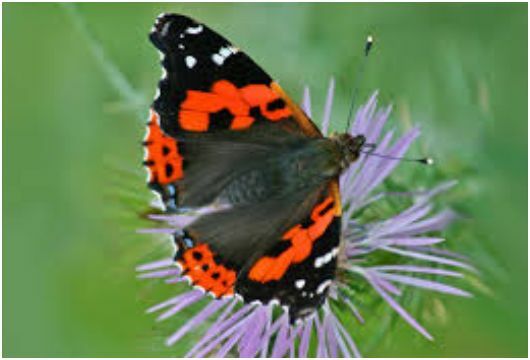 But even in December there are an abundance of flowers, butterflies, bees and birds. The island is the second wealthiest part of Portugal after Lisbon and that’s because of tourism, contributing to 20% of the island’s GDP. Most visitors come from the mainland, followed by Brits, Scandinavians and Germans. The capital Funchal may be very built up but is still a rather elegant city with cobbled streets and cafes, and is the best choice for a first-time visitor since it has a range of hotels to suit every pocket. And its easy to get anywhere else on the island from there. Madeira is a top destination for hikers and nature lovers, but its also a great for clubbers and fine dining and wining. In particular, you can find your very own refuge for some real peace and quite among the many inlets around the rocky coast. Hotels go from the glamorous Reids Palace Hotel, set on a cliff overhanging the sea, to the boutique and quirky Hotel The Vine, to the five star Quintinha São João where the owners aim for “a home-from-home” experience. 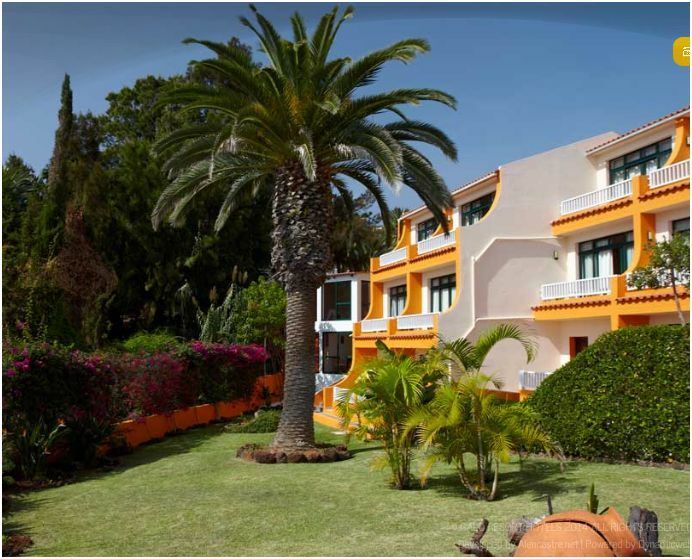 Quintinha São João is an intimate family-run 40-room hotel, set amidst sub-tropical gardens in a residential area, just 15 minutes walking from Funchal city centre. It has everything you as an individual or a family might want for a relaxing holiday. The lush green gardens are a perfect place sink back in a comfy lounger, read a book and listen to the birds, with a cocktail near to hand. And you are more than likely than not to be the only one there. There is an excellent spa with a sauna, jacuzzi, hammam and a wet area with scottish, tropical and vichy showers. There is also a small gym and indoor (rooftop) and outdoor pools. The owner and manager Andre Barreto is enthusiastic about the personal service his hotel offers. His wife runs a nearby pharmacy which is very helpful for any small needs you might have healthwise – and staff will go for you at no extra cost. And the Portguese love of family means that his two lovely young children are in evidence occasionally. The hotel has a regular clientele who return year-after-year because of the excellent facilities and friendly service. Adjacent to the hotel lobby and reception, is the Terra Lounge, with its earthy brown tones and creative design which aims to place you in the heart of a Madeiran vineyard. An ideal place to relax at the end of a busy day, or for throwing a party to commemorate a special occasion. Terra Lounge is open for breakfast, lunch and dinner, as well as having an all day dining menu and dedicated children’s menu. The Terra Lounge aims to give you a vine experience! The Centro de Cura Ayurvedica is at the “Refugio dos Sonhos” meaning “refuge of dreams” in Portuguese. The refuge is part of the Hotel Alpina Atlantica. Here you can receive Ayurveda treatments in a 4-star resort facility situated directly on the seafront on top of a small cliff. The centre was founded and is under the management of Birgit Moukom, a German ayurveda specialist .Treatments and therapies here are aimed at patients with general stress symptoms, burnout and diagnosed depression who are seeking healing. The retreat has special regimes for pain release treatments, weight reduction and insomnia. 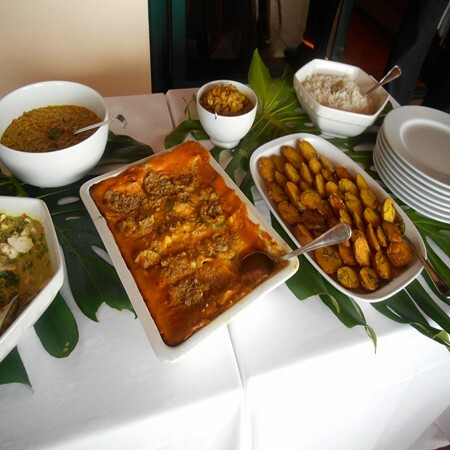 The hotel offers full board with Ayurvedic dishes using regional and fresh produce. Meals are served in the garden restaurant but can also be served in the room. Daily hatha and ashtanga yoga classes are available alongside private sessions and for those wanting to learn the Chinese healing movements of Qigong. Meditation classes also take place. Ayurveda is the focus here. But the Hotel Alpino Atlantico and the associated hotels Galomar and Galosol provide all the amenities and luxuries of a resort hotel including indoor and outdoor, sweet and salt water swimming pools, saunas, fitness centers and spa. Rooms in the two-storey Hotel Alpino Atlantico, where most of the Ayurveda guests check in, are comfortable and well equipped with balconies, view of the Atlantic, TV, Phone, hairdryer, and water boiler. We sample a yoga lesson and a very relaxing Abhyanga full body massage and stay for lunch on the terrace, where a wonderful ‘lasagne’ made with sliced mango was served. The centre has its own Ayurvedic doctor, Ram Mani Bhandari, and a full consultation with him is very thorough and can take more than an hour. He makes various dietary and other lifestyle recommendations. The spa is unique on the island, partly because of its size and also because of the variety of treatments on offer. It’s a tranquil place for those wanting peace and quiet. There is an Aqua area, with sauna, hamman, tanks contrast, Thalassotherapy, Jacuzzi and hydromassage, Vichy shower, Rain shower (Cromotherapy), and traditional Swiss shower. There are nine rooms for aesthetics treatments, massage therapy and relaxation and a beauty and hairdressing salon The Spa also includes a Fitness Club with equipment and weights Cardiofitness free to all guests. There is also a lounge with a Juice Bar and a small library. We try the MALO Sensations, the signature massage, which is performed with sensory pindas (linen containing heated in spices), that are placed over the body. The massage is aimed at relieving stress and rebalancing the body. During the treatment you are wrapped in a warm cocoon to have a snooze. It was a great treatment and very relaxing. If you are not going to be there for long, you should try a guided tour by electric car. Tukxi Tours which run from 9am until 7pm has a range of options starting at 20 – we go for the 1hour and 15 minute tour that takes in the old town, the Socorro View Point, the Town Hall Square, Municipal Garden and the Santa Catarina Park. That also saves on the foot slogging as Funchal is very hilly. We go up and up and once at the top we can see a vista of the city below, including the large port where a huge ocean liner is docked. Our driver points out key landmarks. 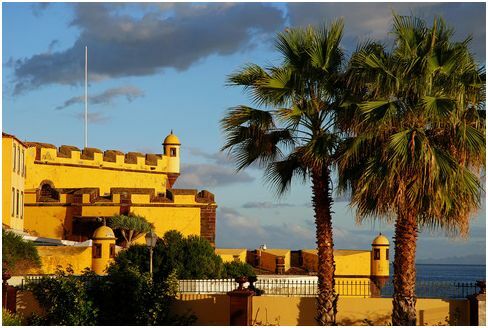 One is the ochre yellow painted17th century Forte de Sao Tiago that was used to protect the Funchal from invasion. The fort, which is next to the old town has small watchtowers and sentinel boxes. The fort is open for the public and has some amazing views from its towers and courtyards. It is now a museum, that has undergone some renovation and now houses several museums including the Military Museum of Madeira and the Museum of Contemporary Art, a collection of work acquired and donated by the artists themselves. 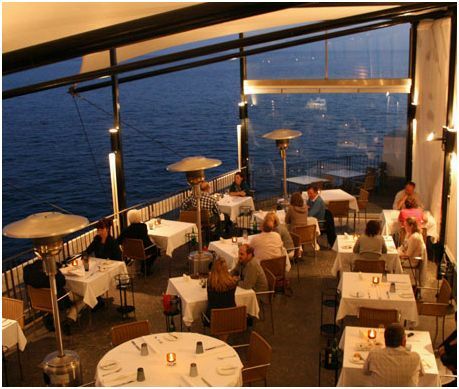 It also has an excellent restaurant, one of the best in Madeira. We dine there later. And the fixed price menu is perfect with pate-filled mushrooms, followed by grilled sea bass and a passion fruit pie desert. Also not to be missed is the cable car which you can take a return ride on (Costs €15 for a return and €10 for a single ride). But many tourists opt for the decent in a wicker sledge. These two-seater vehicles are made in wood and wicker and date back to 1850, when local merchants used them to get from Monte to Funchal. Today its a unique thrill, costing about €24, where two men, called carreiros, glide the sledge downhill, in between the car traffic, controlling it with their feet. The wicker basket goes downhill from Monte, weaving inbetween the motor car traffic – but no-one seems to mind! The many mountain trails and walks are along the levadas, water canals built to take water from the north of the island to the dryer south. Many are 600-years-old and in otherwise inaccessible places which you can get to by the parallel paths alongside them. There are more than 200 different routes of varying difficulty that you can walk along. There are jeep guides who will take you to these areas where you can get breathtaking views of the island’s natural beauty. Sit and relax with a picnic. Madeira is a fortified wine, produced in the Madeira Islands since the 15th century when it was a standard port of call for ships heading to the New World or East Indies. 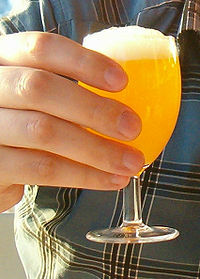 To prevent the wine from spoiling, neutral grape spirits were added. 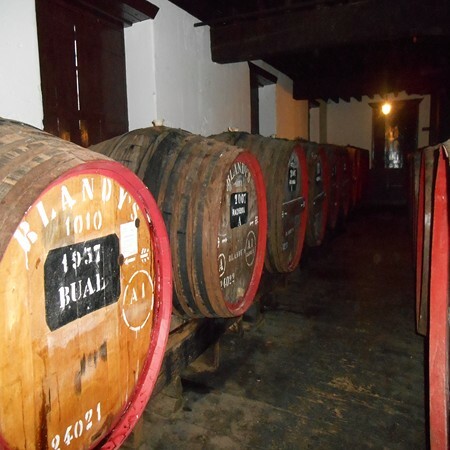 However, wine producers of Madeira discovered, when an unsold shipment of wine returned to the islands after a round trip, that the flavour of the wine had been transformed by exposure to heat and movement. It’s worth a visit to Blandy’s Wine Lodge – the guided tour which costs about €5.50 includes a tasting at the end. You can also get discount vouchers to buy your Madeira in the duty free at the airport on the way home. Poncha is a traditional alcoholic drink from the island of Madeira, made with Aguardente de cana, alcohol made from sugar cane juice, with honey, lemon rind and with different fruit juices, but traditionally lemon juice is used. The best time to try this is on a Friday in the old town, in the Venda Velha area, when its party time for the local students. Locals say that Poncha cures the common cold and people are encouraged to drink it if they have cold like symptoms.It’s also more than possible that if you drink enough you won’t actually remember whether you had a cold or not! 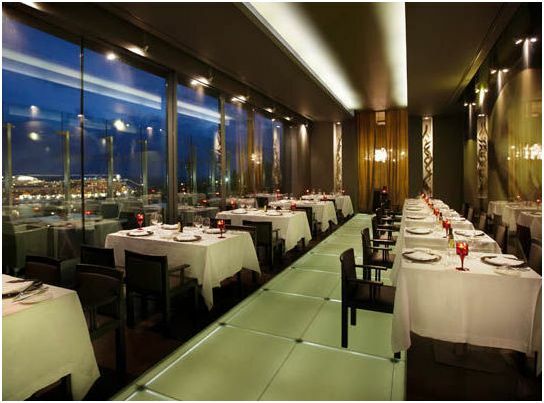 Riso is located at the vibrant “Old part of Town” and enjoys a superb situation beside the sea, close to the viewpoint known as the “Barreirinha”, where the pleasure of the food can be appreciated in a contemporary setting designed by the architects Giano Gonçalves and Leo Marote. Prices vary depending on season and there are special offers to please contact the hotel directly. This is a popular local restaurant that offers a fixed price menu and also traditional entertainment with folk dancing. This restaurant is next to the Melia Mare on a sea-front promenade.